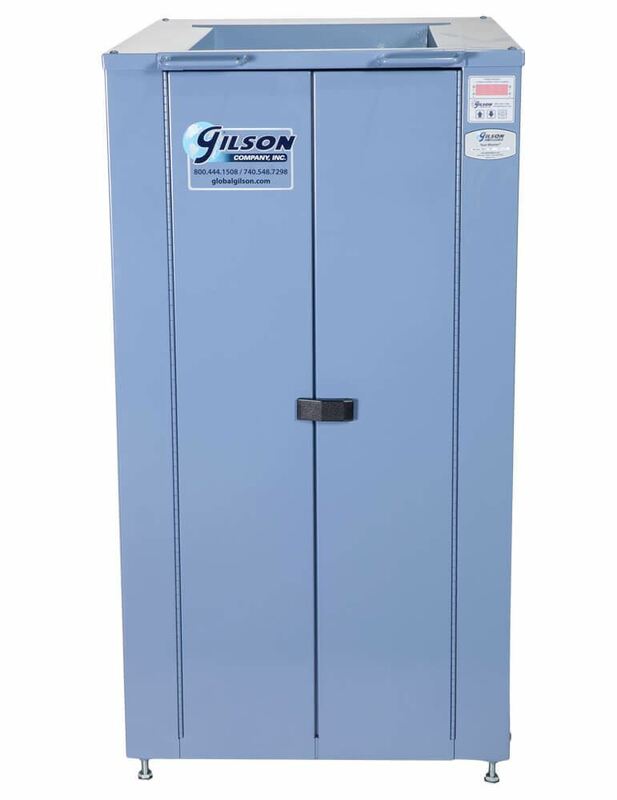 Gilson Test-Master® Testing Screens - Gilson Co.
Our redesigned Test-Master® Testing Screen delivers accurate particle size separations for large samples and now features an easily controlled, integrated hopper for easier introduction of sample material. 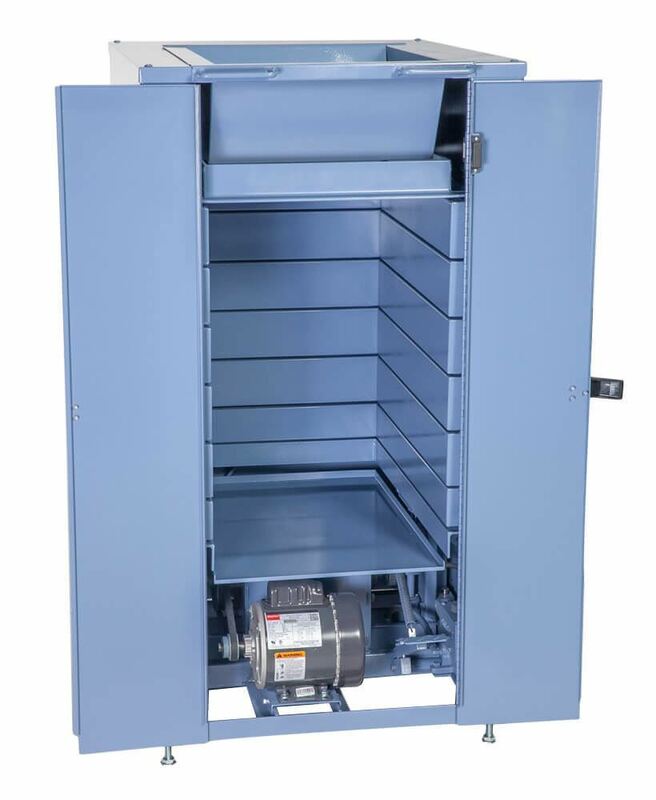 Vertically hinged front panel doors offer improved access and clearance while reducing nuisance dust. 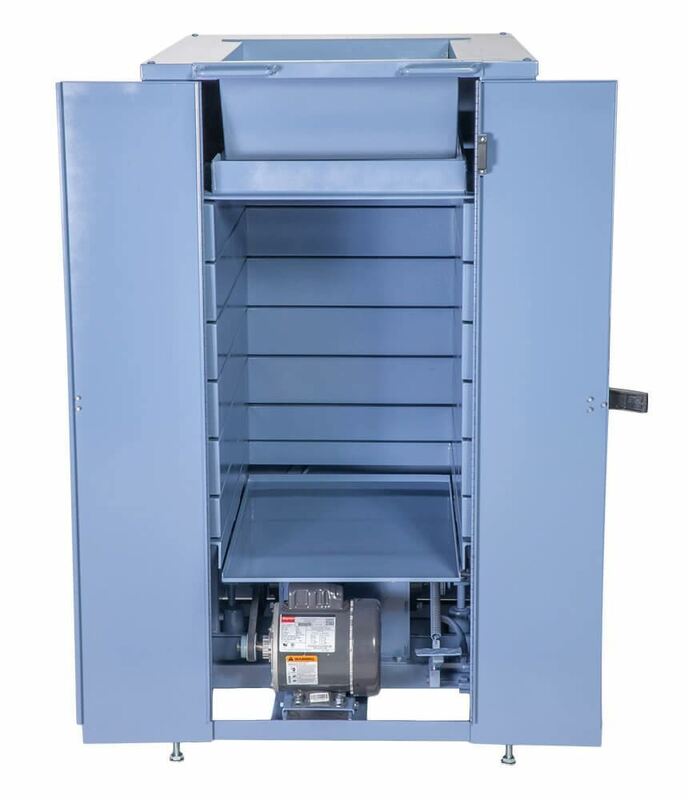 Internal rotating counterweights of the Test-Master® drive system equalize the vertical screening action for smooth, quiet operation. Standard vibration characteristics are designed for coarse materials of mid-range density such as limestone or gravel aggregates. The Test-Master® is also ideal for coal, coke, ore and many other dry, granular materials. 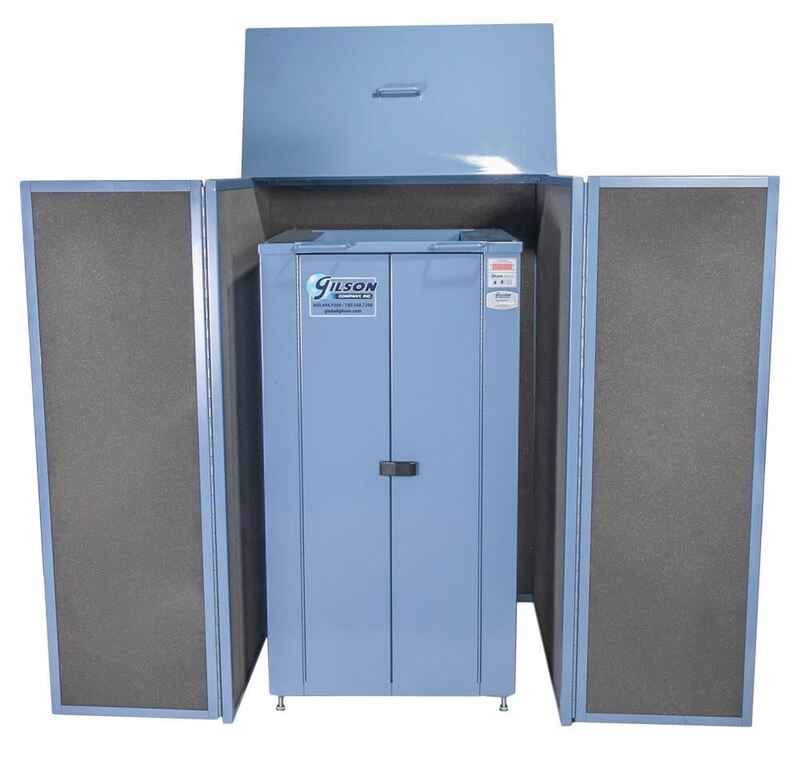 The Test-Master® can be placed anywhere in the lab with no need for permanent installation. 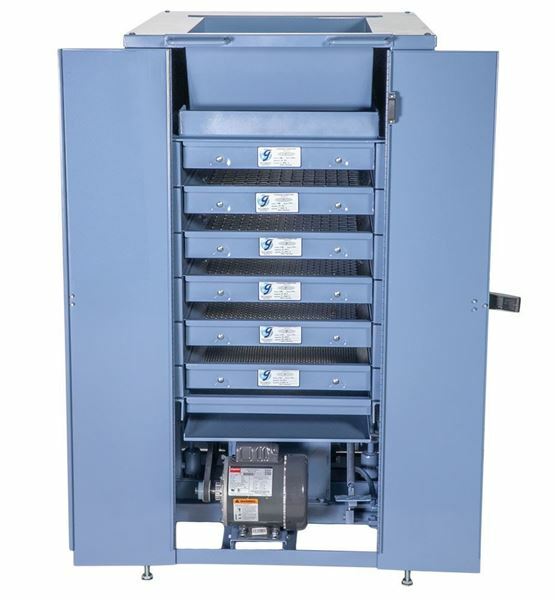 The 1.6ft³ (45.3L) hopper is hinged at the rear and allows the sample to be introduced incrementally as the machine is running. 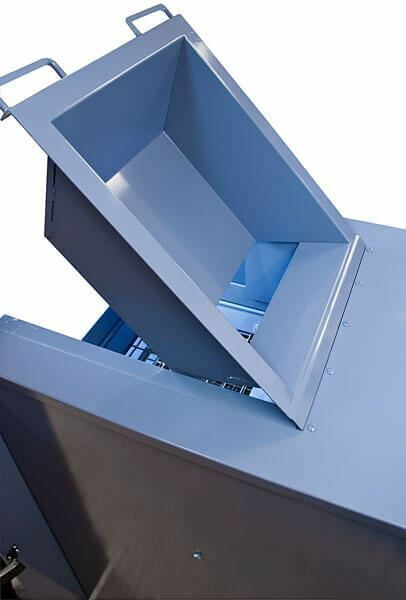 When the hopper is closed, a panel blocks dust from escaping through the opening. The narrower panel doors require less space to open, and fold flat across the front of the unit. 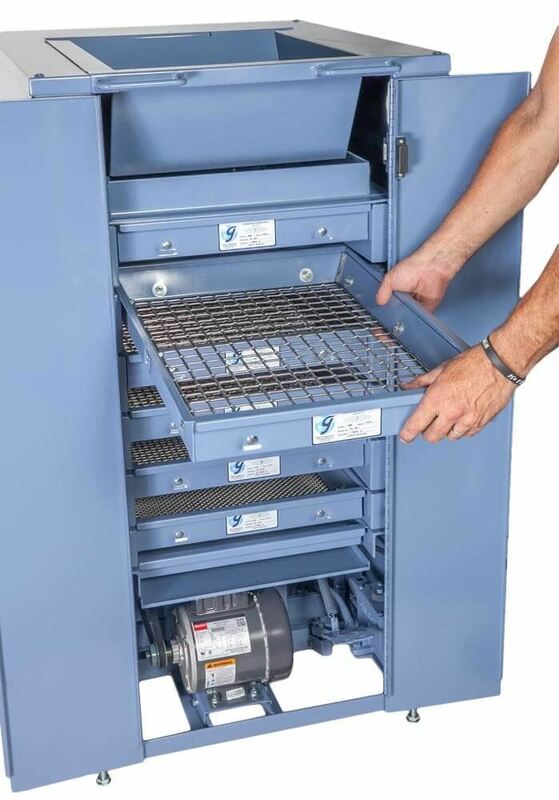 The doors also feature a safety interlock switch that disables the Test-Master® when open. A built-in, electronic digital controller has an LED display of time remaining and produces an audible tone at the end of the test cycle. 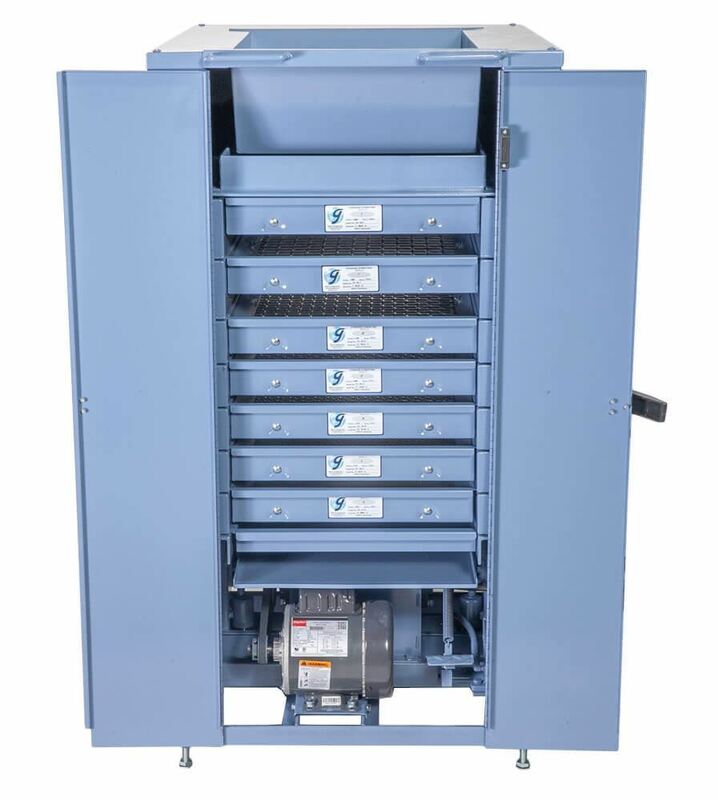 Test cycles lasting up to 99 minutes, 59 seconds can be programmed and cycles may be interrupted without loss of test time. 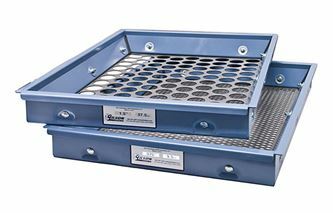 An ergonomically operated foot-pedal easily operates the hydraulic clamping and pressure release system for the screen trays. 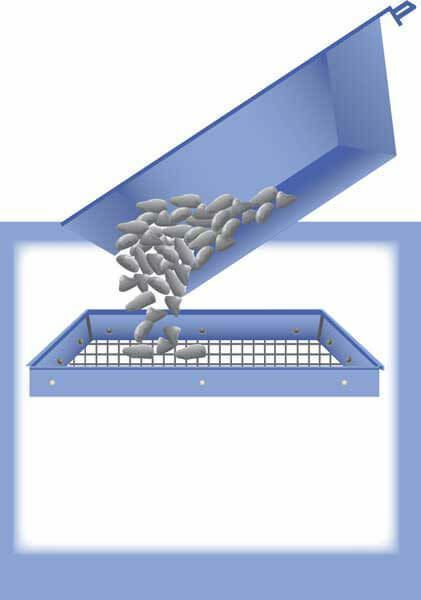 TM-5 Units accept six screen trays and wider tray spacing is ideal for samples with larger particle sizes for more efficient agitation. TM-6 Units have a seven-tray capacity and the same reliable counter-balanced drive assembly, fully enclosed operation and electronic digital controller as other models. 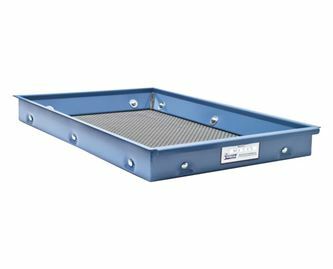 Independently removable screen trays are shared by both the Testing Screen and Test-Master® models and are available in a wide range of opening sizes with ASTM E11, ISO 565 specification cloth or punched steel plate. 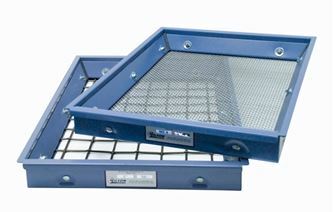 Screen cloth is replaceable, ensuring long life and inexpensive maintenance of trays. 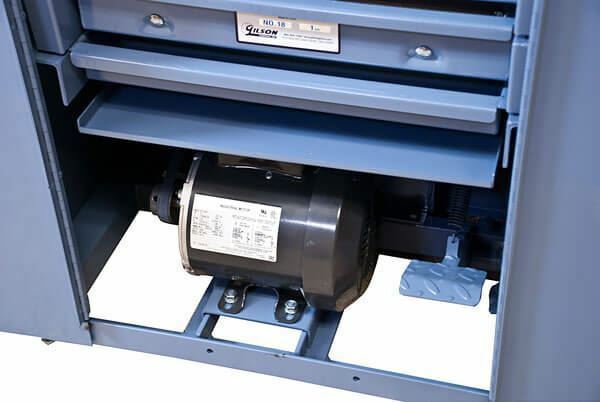 Both operate with powerful, capacitor-start 1/3hp motor. TSA-116 Stationary Dustpan with Adapter is a two-piece dustpan with a flexible sleeve to greatly reduce nuisance dust from fines. Fits Test-Master models only.